MOSCOW (Sputnik) - The Russian Embassy in the United Kingdom on Friday described NATO Secretary-General Jens Stoltenberg's recent comments on Russia's alleged involvement in the Skripal poisoning incident as "blatant disinformation," stressing that the UK inquiry into the case is still ongoing. Stoltenberg wrote in his article published in The Guardian newspaper on Tuesday that the West faced "the most unpredictable security environment in a generation," including Russia and its alleged use of military-grade nerve agents. "Mr. Stoltenberg’s allegation that Russia 'has no qualms about using military-grade nerve agents on our streets' is blatant and reckless disinformation misleading British people and the international community. If Mr. Stoltenberg has any proof, he must present it immediately. Until he does so, his assertions are nothing but unsubstantiated allegations supported neither by facts nor by evidence," the embassy's press officer told reporters. The press officer reminded that the inquiry into the Salisbury incident was ongoing, citing UK Prime Minister Theresa May's National Security Adviser Sir Mark Sedwill's speech on May 1 when he said that the UK authorities were yet to establish the Salisbury case suspects. "It remains unclear why Mr. Stoltenberg repeated the anti-Russian speculations of the British authorities, while the latter are apparently doing everything to hush up and classify the circumstances of the poisoning of the Skripals," the press officer underlined. 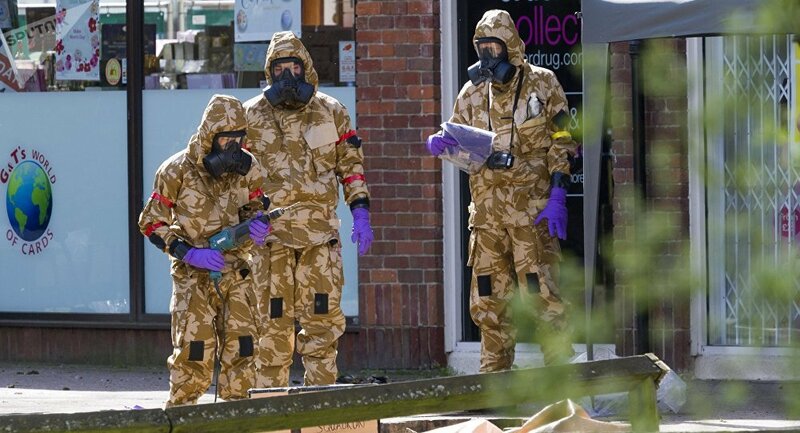 The United Kingdom and its allies have accused Moscow of having orchestrated the attack on the Skripals with what UK experts claim was the A234 nerve agent, although the accusations have not been substantiated. Russian authorities have strongly rejected the allegations as groundless. The allegations refer to the poisoning of former Russian GRU agent Sergei Skripal and his daughter Yulia, who were found unconscious on a bench outside a shopping center in Salisbury in early March. The two have already been discharged from the hospital.